Clarinda is a scenic and historic city that offers various community activities, encourages family living and has dynamic economic opportunities. A mixture of a small-town atmosphere with access to a wide variety of goods and services usually only available to much larger cities makes Clarinda a fine place to live. 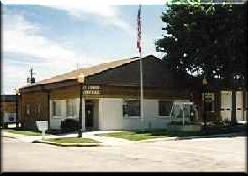 Clarinda City Hall offers many of the services and conveniences people expect from larger communities, while still maintaining a friendly, small town atmosphere.